Stay up to date. Never be left behind. Personally recommended papers. Quality, significance, relevance. 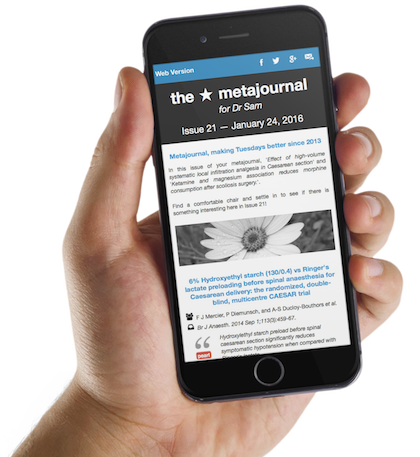 Metajournal uses an evolving, learning algorithm to find the most significant, interesting and personally relevant articles – just for you. Stay up to date by following your favorite journals and topics – both within your specialty and those outside. 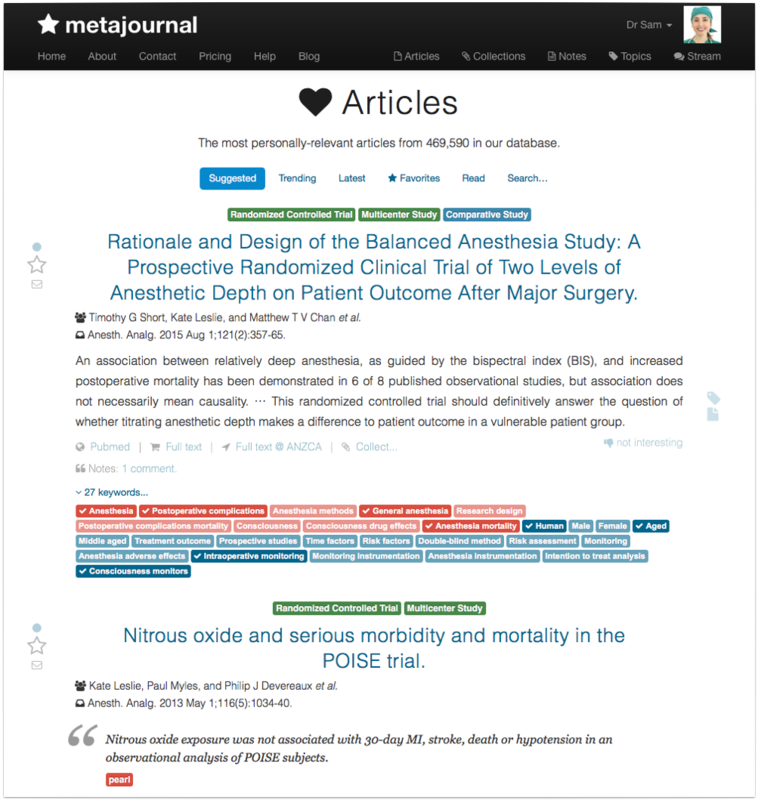 Metajournal learns which articles most interest you as you read abstracts and papers, and suggests other high quality, relevant research. Browse trending papers. Save favorite articles. Share interesting abstracts. Watch what others are reading. Create article collections. Join virtual journal clubs. Create collections of articles to answer clinical questions, share knowledge with others, prepare for presentations, or to organize evidence. Invite others to contribute to article collections, and using metajournal's notification system, even run your online journal club! 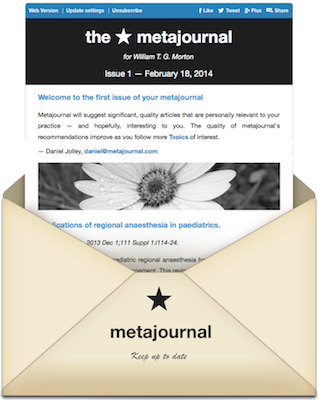 Receive your weekly, curated metajournal email issue. Each week receive a curated selection of quality abstracts, recommended by metajournal based upon the journals and topics that you follow and the articles that you read – direct to your inbox. Even if you're too busy to visit metajournal online, you can still stay up to date with significant research relevant to your practice. Read pearls & summaries, share articles, save for later and click to read full-text, all from the comfort of your smartphone or tablet. 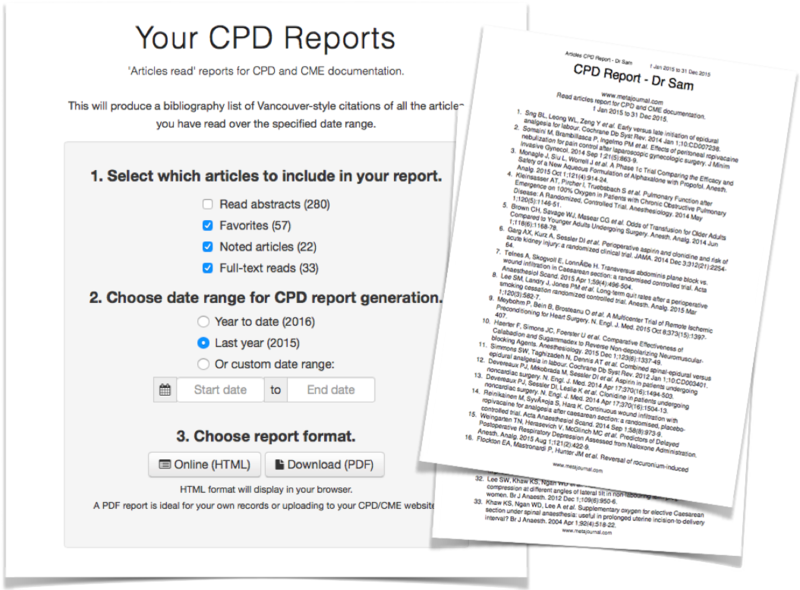 Track the papers you read for CPD reporting. Many medical boards require documentary evidence of physician Continuing Professional Development (CPD) and Continuing Medical Education (CME). Metajournal remembers which articles you have read, favorited and noted, and can provide a written report for your board CME & CPD requirements. Read article pearls & summaries. Share your own notes. Read pearls, summaries and comments on articles or collections that other metajournal users have shared – or write and share your own! Metajournal article notes are a great way to capture the important, salient messages from a paper, creating a valuable reference for the future. One-click access to full-text articles. Get instant one-click access to full-text papers via your hospital, college, or university journal subscriptions. 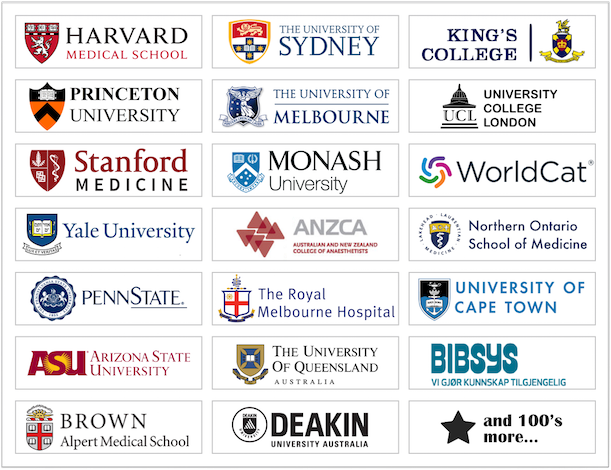 Metajournal can add full-text access for over 200 institutional medical libraries throughout the world, and is continually adding more. Stop wasting time searching for full-text. Read it in seconds! and adds one new article every minute! 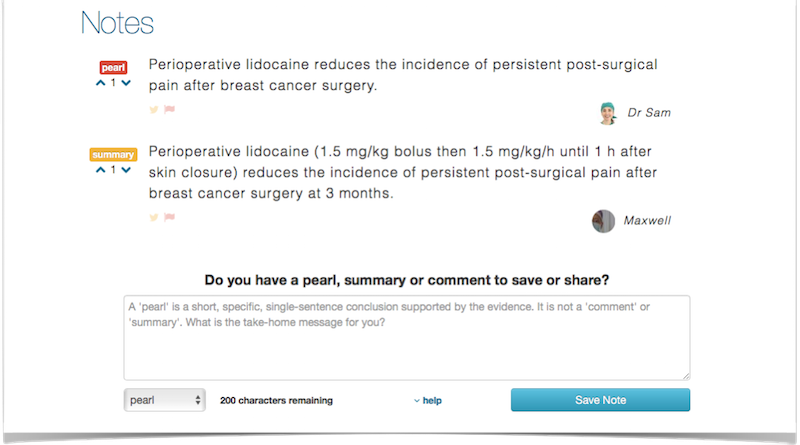 How do you stay up to date with evidence important to you and your patients? Finally, your personalized medical journal – for critical care specialties. Anesthesiology. Emergency Medicine. Intensive Care Medicine. Resuscitation. Pain Medicine. A curated and personalized selection of the most significant and personally relevant medical research online and in your inbox every week. 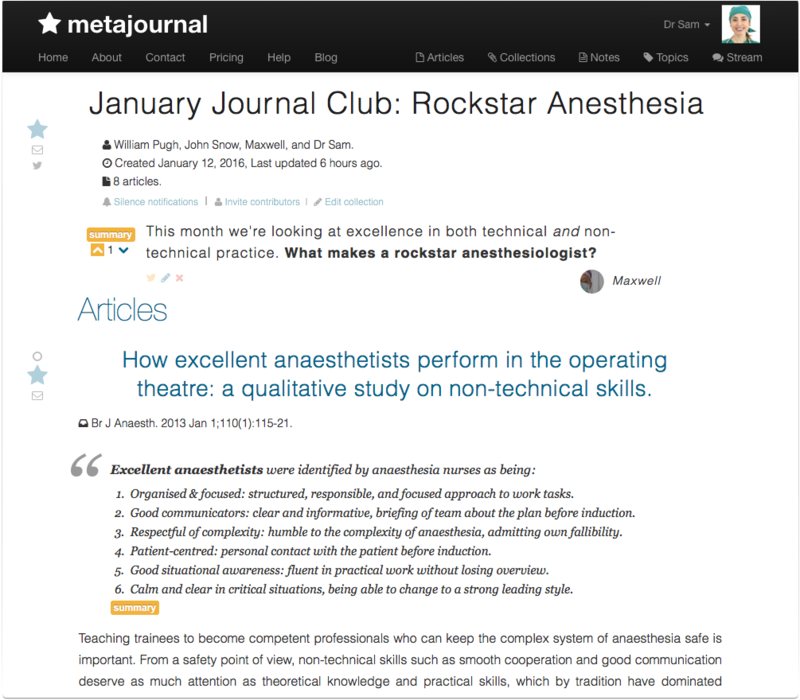 Interested in using metajournal for other specialties? Surgery, Internal Medicine, Family medicine, ObGyn, Psychiatry, or something else...? Let us know!